I have been reading like crazy this month--which means I'm way behind on reviews. One thing that comes with new babies is a lot of down time, whether that's during feedings or just recovering from delivery. Also, I tend to read more when I'm stressed, so there's been that as well. On the other side, I have had less desire to write book reviews, due to overall exhaustion. So, in an attempt to begin climbing out of the review pit, I give you six at once! Yes, all by Sarah Eden. I read one than just kept right on going. These all fall under the entertainment category. I make no apologies, friends. No brain space for heavy hitters this past month. 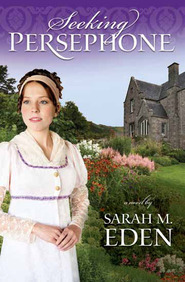 By the way, Sarah Eden is Mormon, but these books would not be considered Christian fiction. They don't quote scripture or talk about religion much at all, actually. 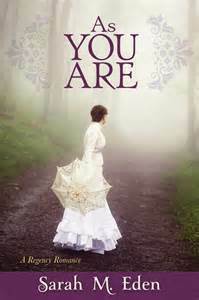 4 stars: Characters with depth and a story that will keep you reading. Katie Macauley has decided to stay in Wyoming, rather than return to Ireland, but she may come to regret that choice. Tensions between the Irish and the Reds are higher than ever. There has even been some violence and retaliations are escalating. She is one of the few with a foot in both worlds, and so could possibly bridge the gap--but at what cost? If that's not enough to worry over, she still can't make heads or tails out of her personal life. Both of the men pursuing her are good men and she likes them for different reasons. So what's a girl to do? I finally read it! This one has been on my "to-read" list for ages; a couple of years, at least. I kept putting it off because it seemed like it would be a stressful read. In part, because I knew there would be escalating violence related to the feud--I just couldn't bring myself to read about that. I don't want to spoil it, but I can report that it was done well. There was enough hope and redemption to balance out the heavier parts. Yay! Check it off the list! Content: As mentioned, some violence and intense situations. 3.5 stars: Fairly predictable, but entertaining to see it all unfold. Philip Jonquil is the oldest of 7 brothers, and ever since his father died several years ago, the Earl of Lampton. He is also a professed dandy, with a bent towards the latest fashions and fanciest cravats. It's all a cover, however, for his work as a spy. He is all but ready to retire from undercover work, and drop the pretense, but there's one more villain on the loose that he must apprehend first: the notorious Le Fontaine. Sorrel Kendrick used to have hopes and dreams. Then an accident left her with a badly twisted leg and a hip that doesn't always work the way it should. She must use a cane to get around at all and is often in pain. She was already somewhat blunt in manner prior to the accident, and since then has not gotten any softer. 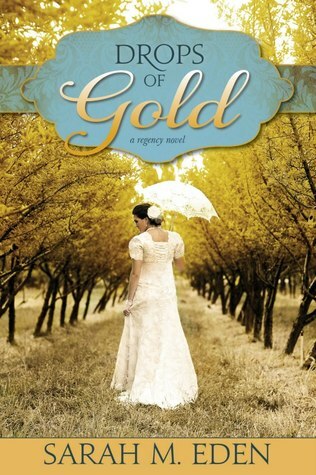 When she and Philip cross paths, first at an inn and later at a friend's home, sparks fly. Not romantic sparks either. More like the gunpowder-type. They simply can't stand each other. This is war. 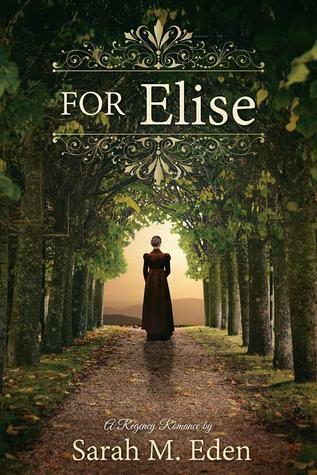 It bothered me a bit that Eden borrowed a basic plot line from The Scarlet Pimpernel, but overall I enjoyed this regency romance. Philip's "war tactics" had me laughing. 4 stars: Satisfying and enjoyable. Marian is in a desperate situation; otherwise, she would never had taken this job as a governess. Or (ahem) written her own letters of reference, or changed her name to Mary Wood for the time being. 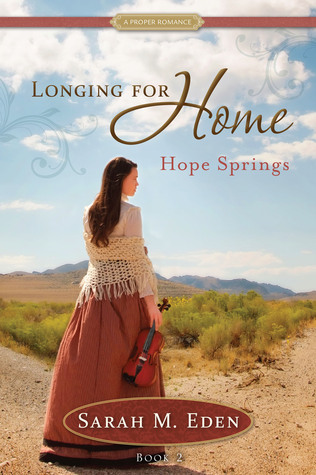 Now that she's at Farland Meadows, she's determined to make it work, no matter how different it may be from the life she used to know. It's not hard as far as the governess part goes--she can't help but love sweet little Catherine--but forging relations with the other staff has been a bit rocky. The entire household seems under some pall. Marian's natural optimism and cheerful outlook on life pierce through the darkness surrounding Catherine and Layton. Even though he thought there was no hope, he begins to believe there might be. Catherine, meanwhile, has blossomed under Marian's sunny guardianship. All that remains to be seen is if Marian and Layton can open up enough to each other to make a relationship work. For starters, "Mary" will have to tell him her real name. One thing I like about this series is how the spotlight moves to various characters in turn. So with each book we get the in-depth story of one brother, but are still treated to glimpses of the others throughout the book. In this one, it was gratifying to see how Layton's brothers banded together to help him out, once they found out what his real trouble was. I enjoyed watching Marian and Layton's relationship develop. It stretched my suspension of disbelief a bit, particularly her sassy tongue being overlooked by the boss, but not so much that it was bothersome. 3 stars: Sweet, with characters you really root for. Corbin Jonquil has never been at home talking to people. He can't think of what to say, first of all, then if he does actually come up with something he stutters so badly it doesn't come out right. That's one thing he loves about horses--they understand each other without any big speeches. In fact, he runs a very successful horse ranch. If only that would help him talk to Mrs. Bentwood, a pretty widow new to the area. He wants to get to know her better, but that would take talking to her. Back to that again. Mrs. Bentwood, or Clara, has tentatively settled in her new home, though she is constantly looking over her shoulder. She can't make out Mr. Jonquil's intentions, which makes her nervous. He seems honorable on the surface, but from her experience that type of man simply does not exist. She can't ever let her guard down, if she and the children are going to be safe. So she doesn't....let her guard down, that is. Until the day she does, just a little bit. There's an opening there for an honorable man to have a chance. If only Corbin can get his tongue working right and figure out how to take it. I liked this one, just not as much as some of her others. It's almost painful to see poor Corbin's attempts at wooing his lady. The big showdown at the end had to happen, I suppose--at least it almost always does in books like this. In any case, a read that just fit the bill for me this month: not too deep, entertaining, quick. Content: Mentions of abuse, though not graphic or first-person. p.s. Just so you know, this is one of my favorite covers for her books. 3 stars: Some suspense to go with the romance in this one. Miles and Elise grew up inseparable, until their teenage years. One day she just vanished, and Miles could never find her or figure out what had happened to her. Until a chance meeting in a little town leads him to her. Strangely, she doesn't seem at all happy to see him, she's got a daughter, and a different name and a low-born accent. He convinces her and her mother-in-law to come with he and his sister back to their home, where he struggles to unravel the past that led them all to this point. He has a feeling it started when their fathers were both murdered--and Elise saw it happen. From there, he's not so sure. All Miles knows is that he would do anything to have his dearest friend back again. 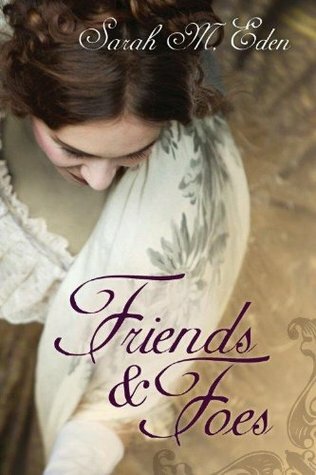 This one was different than some of her other regencies--a bit darker in tone with the characters' issues from the past. It was a good thing there was some added suspense to keep things moving. I don't think the s-l-o-w-l-y budding romance between Miles and Elise could have stood up on its own. Also, stories based on a lack of communication between the main characters bother me a bit. One good, honest conversation could have cleared up all the misunderstandings...and the book would be over in one chapter. Anyway, still worth a read for all that. Content: Murder, as remembered by characters; other more adult themes. I would be comfortable giving it to older teens on up. 4 stars: Can these two misfits make a match of it? The Duke of Kielder has always been a loner, in large part due to the scars on his face. He was born without an ear and many surgeons through the years tried unsuccessfully to fix him. He doesn't put up with cowards or fools. However, when he realizes that all of his family's land and holdings will go to a distant relative when he dies, unless he produces an heir, he decides to marry. The last thing he wants is to endure a Season, so he figures if he can find a girl whose family needs money, he can buy a bride. Who cares what she looks like or how they get along. He authorizes a servant to find him someone. He didn't count on Persephone. She is pretty, which was a disagreeable surprise, given his physical deformities. She has been capably running her father's household since she was young, caring for several younger siblings. And yes, she is/was desperate to take him up on his offer--for the sake of her brothers and sisters. Echoes of Beauty and the Beast in this one, along with the Hades and Persephone myth. The relationship between the Duke and Perspehone built up over time in a believable way. There were also some strong side characters; Harry was a favorite. The setting was what I would call gothic light. There was the old castle surrounded by deep dark woods, even wolves, but nothing creepy or sinister under the surface.